AquateX™ Professional is a series of advanced, designer oriented materials leveraging our AquateX™ product core and intended for architectural professionals. These materials offer almost unlimited design opportunities and are not necessarily intended for manufacturing of bathtubs or plumbing fixtures. The combination of AquateX™ solid surface with opposite materials like natural marbles, granite or colorful resins allows your imagination to run wild and realize the wildest dreams in practically every realm of architecture, industrial and interior design. AquateX™ Ecomalta® is obtained by applying multiple layers of Ecomalta surface coating on top of AquateX surfaces. Ecomalta is a mortar like innovative, hygienic, safe and eco-friendly water-based compound that contains up to 40% of recycled material. The desired eye pleasing stone surface effect is achieved mainly thanks to our highly skilled and artistic craftsmen. 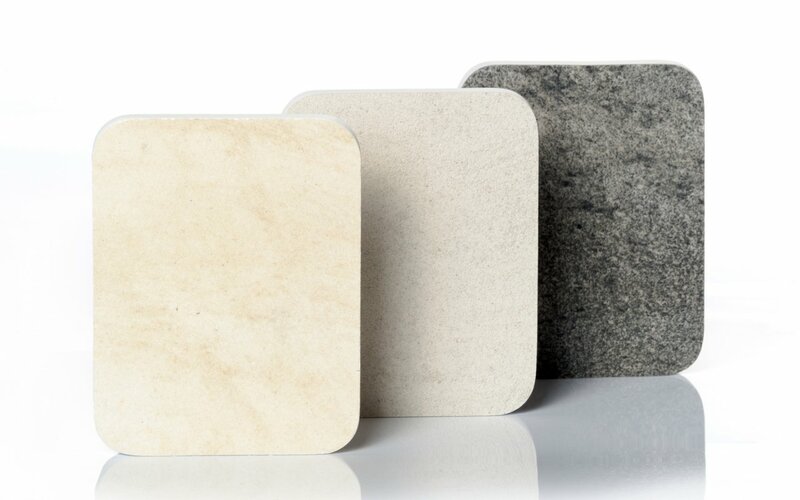 Ecomalta is naturally non-flamable, breathable, flexible, and recyclable, cement free, epoxy resin free and does not contain any toxic substances for humans and the environment. Compact, solid, devoid of joints throughout the thickness, AquateX™ Ecomalta® surfaces are also dirt and stain resistant and suitable for both indoor and outdoor use. For volume buyers we create customizable versions of different colors, textures and effect beyond obviously all colors in the RAL color chart. AquateX™ Ecomalta® is a great choice in bathroom furnishings, shower walls, shower bases, basins, integrated countertop-basins, countertops, bathtubs, kitchen countertops and many other decorative elements such as tables, shelves and design covers for walls.